We had yet another out-of-town friend visiting today, so we hiked up the Scotts Bluff National Monument via the Saddle Rock Trail and down via Summit Road. Here were five awesome things we saw. 1. 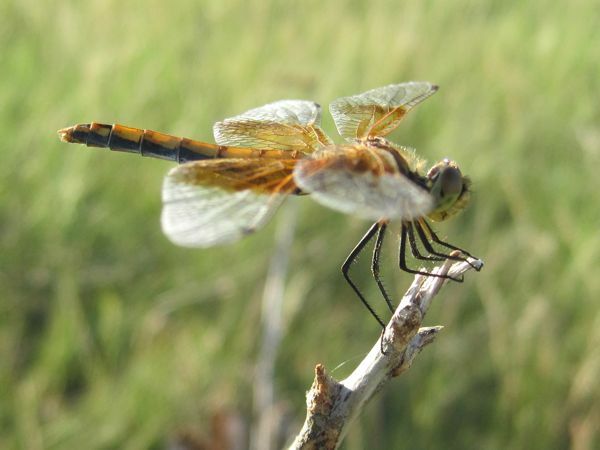 A dragonfly atop virtually every single last-season yucca spire. 2. 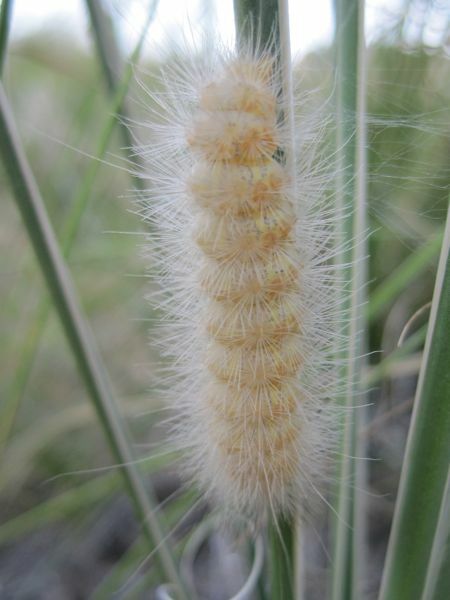 A wooly caterpillar on yucca. 3. 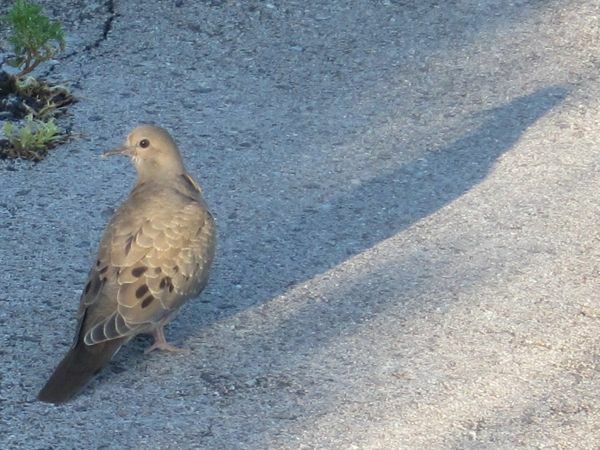 A bird and his shadow. 5. PRAIRIE RATTLESNAKE!!!!!! I AM SO EXCITED!!!! I FINALLY SAW A RATTLESNAKE!!!!! 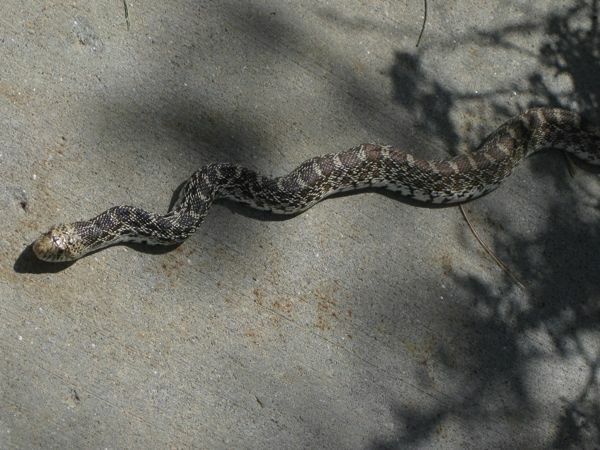 The little snake (little compared to the timber rattlers we’ve seen in southern Illinois) was about 2.5 feet long. His black, forked tongue flicked in and out a few times. As soon as I took his picture, he swung around 180 and slithered off into the grass. He didn’t even rattle. Kinda cute, if you ask me. LIKE, LIKE, LIKE! Sweet photos! I love your observant sense of wonder! 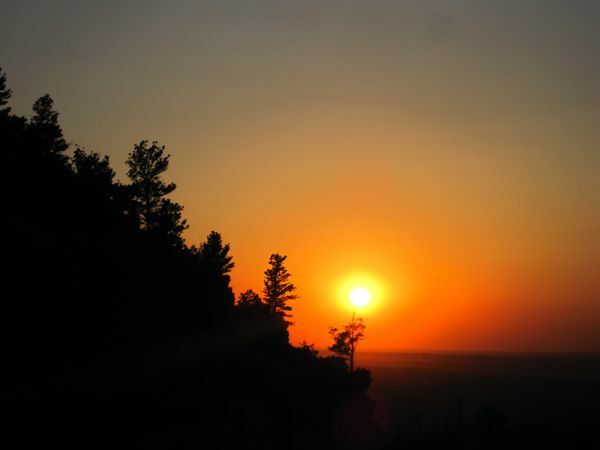 I’m moving to Scottsbluff next week. Nice to see some local wildlife. I used to drive lonely desert roads in the Mojave in the evening looking for snakes with a friend who was a bit of a reptile fanatic. 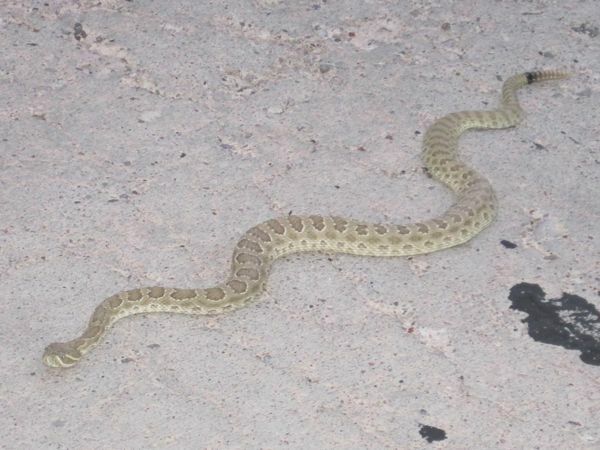 Even after hot days snakes were attracted to the heat coming off the blacktop at night. Anyhow, I thought I should post a reply after reading many of your entries about the area. You have given me a lot of ideas about places to explore. Thanks!